Finding the elusive top talent when trying to fill an open role can be challenging. However, I would like to address and challenge hiring managers, HR practitioners and especially recruiters that tell me that there is a talent shortage in Asia. It is my point of view that to find high performing employees one needs to think far beyond just trying to fill an open job rather it is an ongoing plan and program a company, and all hiring managers must make to build the way talent are found, developed and retained. In fact, it is my belief that there are talented individuals for all our open roles it is just a matter of finding where they are hiding. Talent (note there is no ‘s’ at the end of talent) is a noun that defines a natural aptitude or skill. A top talent is someone who possesses the highest natural aptitude or skill. Now, in the workplace when we speak of talent it is someone who not only has a natural aptitude or competency but also someone who can help a corporation achieve complex and challenging objectives and this is where we find it difficult to find the right people to fill a job – I like to call this FLAIR. Having FLAIR is the capability to achieve one’s job, have the tenacity to meet and address all complex company problems and conflicts by using creativity, a global mindset, empathy and all within the context of working within a team environment. 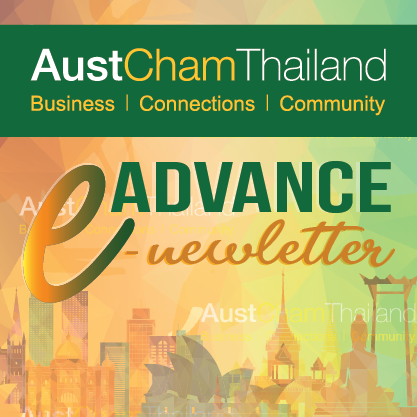 In Thailand the war for talent has been for well over twenty years and as the aging population retires finding not only enough employees but also employees who have the skill, attitude and FLAIR within the world of work can be time-consuming and difficult. However, there are lots of ideas and ways to find talent that is not as elusive as we all think. I have listed eight ideas below that might help others think about ways of attracting and retaining a high achieving workforce that has FLAIR. Willis, Towers Watson in September 2017 stated that it is critical for countries in Asia to think of different ways of working. Although there definitely has been a move towards outsourcing and contingent workforces it is critical to also use part time, contract and temporary workers all who can be utilized for different requirements and at different times. It is time to stop looking down at this group of workers as less skilled and recognize that this group may become in the future the most adaptable and agile for different work situations. For scarce technical skills begin at the source – go to universities and develop a relationship to acquire the best students and develop an ongoing graduate recruitment program. Meeting and speaking with others in a social environment is a wonderful way to find out not only the skills of a potential talent but the FLAIR in which they have to adapt and behave within a social environment. This should be done all of the time by all hiring managers and recognized to be a critical role. Always hire for future potential and immediate FLAIR that fits within the company culture. Hiring managers must take the time to understand the components of the job and qualifications required. Too often we add in to the job description everything that would be ‘nice to have’ rather than understanding that a job description is about technical skills as well as the behaviours and attitudes that are required to get the job done. Never stop seeking out individuals who have a positive mindset and want to take on and be more. Too often there are employees designated to the B player list who have the FLAIR to be your company’s best. As a manager look for opportunities every day to know your team and find ways to discover these hidden gems. Think deeply about how to develop employees. Track your teams development plan over a period and keep updated by your team members to see if they are developing with FLAIR. Then when the time is right promote organically rather than from the outside. Build a company where people love to come to work. That means that when you are hiring people think about building a diverse range of skills and styles however with a group of people who have the same values and goals. Amanda has worked in Asia, Australia, the US and Europe. With over 20 years of living in Asia she is highly valued in her understanding of cultural differences in the region. Additionally, her strategic abilities within organisational development, talent management and human resources enables her to provide sound advice to her key stakeholders and a point of view in assisting her management to reach their business objectives. She has experience within HR consulting, as an HR Business Partner, Global head of Organization Development and hands on transition management throughout Asia. Originally working in a commercial role Amanda uses her business experience to help others navigate organisations and guide her leaders to provide great People solutions . Previous [April 2018] How to raise a generation of accountable leaders? Next [May 2018] Digital Disruption: What does it mean for accounting?